Welcome to another Work-In-Progress Wednesday, with an added glimpse into my Etsy workspace. I love to look at workspace photos when Etsy shops are featured. They always look so beautiful and organized. I’ll have to admit I envy them, just a tad little bit. Then I laugh. I congratulate them on their successes, while my one-year-old starts climbing on me, and I set aside my knitting. Squish! Preorders for sweater quantities are up in the shop and some of you have already taken advantage (thank you!😘) and also, there are a few of these delightfully chunky jumbo skeins of Angel Aura left (how cute would this be for a knit or crochet pillow?!)! It’s been a crazy busy time lately, but I’m kinda enjoying it😅. How about you?! Let’s see if this works...testing, testing, 1,2,3...is this thing on? 😂😂😂 IG wasn’t working for me and many many people yesterday, so I missed posting this! I wear this Aspen Beanie allllll the time and get lots of compliments on it, to which I gladly reply, “Thanks! I made it!” (If you’ve been in this situation, you know how awesome that feels to say!) However, the other day, a wonderful knitter at my LYS said they loved this beanie, but they can’t stand wearing slouchy hats! 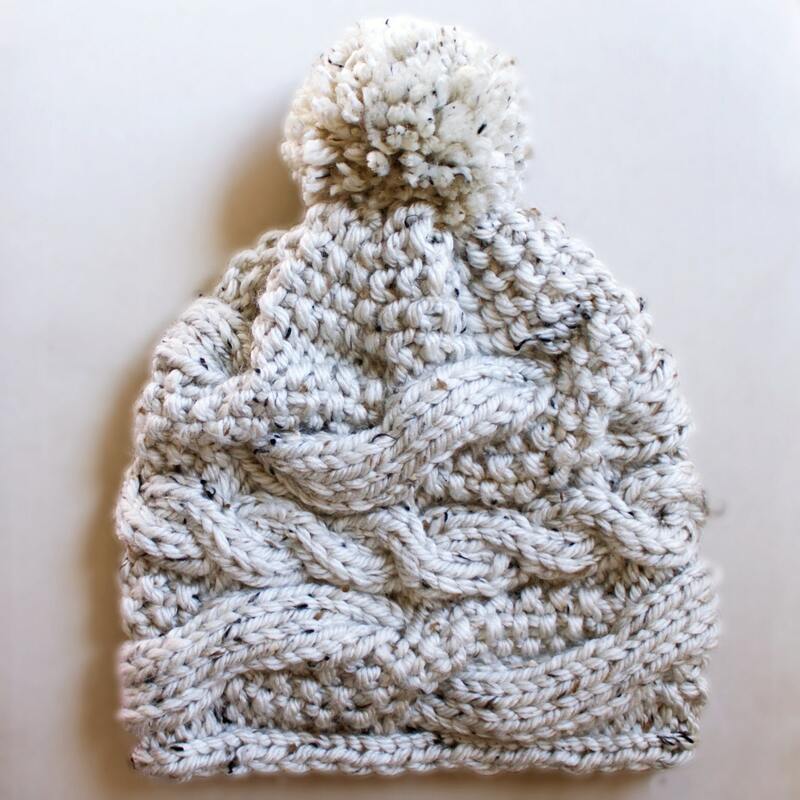 So now I’m wondering, would y’all be interested in a fitted version of the Aspen Beanie? Lemme know! Pattern: Aspen Beanie by Whittney Perez (dat me!) 🧶: Malabrigo Rios in Frank Ochre🤤 P.S. Yarn shop update this Saturday 11 AM EST!!!! 😍I still can’t get over how awesome my test knitters are! I’m dreaming of making another #cadenzacowl in black because...LOOK! 😍 How chic! Swipe to see more! 😘 Make one for yourself with 2 balls 🧶🧶 of WAK The Wool💖. Link in bio! Presto! Something BIG is coming to the next shop update! I’m setting a tentative date for Saturday, March 16th. It’s FINALLY happening, folks. BTW, this lovely jumbo I-cord is 250g (2.5 skeins worth!) of heavenly Superwash Merino 🤤🤤🤤 dyed up in Angel Aura, of course! What would you make with this?! 🧶 Oh hello Wren. It’s been awhile! Neutrals + speckles are a win in my book.😌These are begging to be made into socks! 🧦 😉 Slooowly but surely getting yarn photographed for an update! I originally planned to have one this weekend but I’m busy preparing for big life moments and family visiting! My youngest is turning 1 next week and my oldest is turning 5! Yeah, their birthdays are 2 days apart. I got this?! Easy & Savory Sausage Gravy! So, so good. Last Minute Quick Knit! Hudson Bay Mitts - FREE PATTERN!